Plus taxes and fees where applicable. Semi-synthetic oil only up to 5 qts. Special excludes diesel engines.Prices may vary by make and model Chrysler. Jeep Dodge Ram vehicles only. Must present coupon when order is written. May not be combined with any other coupons or specials offers. Limit one coupon per person. Not valid for the previous service. Valid only at Kearny Mesa Chrysler Dodge Jeep Ram. Synthetic Blend oil up to 5 qts. Plus taxes and fees where applicable. Semi-synthetic blend oil only up to 5 qts. Special excludes diesel engines.Prices may vary by make and model Chrysler. Jeep Dodge Ram vehicles only. Must present coupon when order is written. May not be combined with any other coupons or specials offers. Limit one coupon per person. Not valid for the previous service. Valid only at Kearny Mesa Chrysler Dodge Jeep Ram. Prices may vary by make and model Chrysler. Jeep Dodge Ram vehicles only. Must present coupon when order is written. May not be combined with any other coupons or specials offers. Limit one coupon per person. Not valid for previous service. 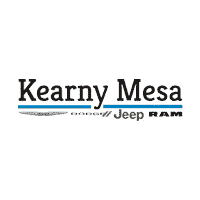 Valid only at Kearny Mesa Chrysler Dodge Jeep Ram.